Step back in time by journeying 6 miles off the coast to the Isles of Shoals and a visit to Star Island’s beautiful Oceanic Hotel. 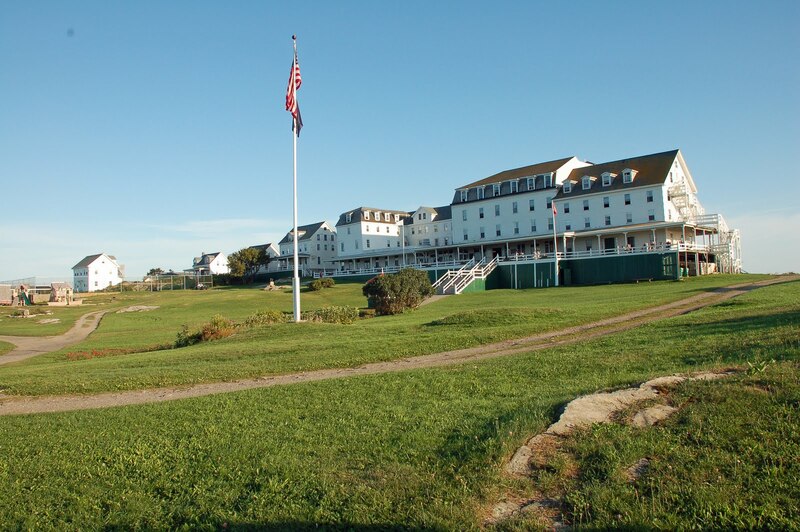 A 45 minute boat ride will take you from our Portsmouth bed and breakfast to the rocking chairs on the broad porch of the Hotel overlooking Appledore Island. After a quick breakfast at the Martin Hill Inn, guests take the Isles of Shoals Steamship Company’s MV Thomas Leighton under Memorial Bridge, down the Piscataqua river to the mouth of Portsmouth Harbor. A narrated history of Portsmouth accompanies the journey until the boat reaches the open waters. Soon the Isles of Shoals come into view and the Leighton docks on Star Island. The Steamship Company offers two options, a short walk about tour of 45 minutes before returning to the same boat. Or a “stay over” option that lasts a few hours and you return on the next voyage of the Leighton. If you plan to stay over, you can either bring a picnic lunch or call ahead to reserve a place in the dining room and enjoy the Oceanic’s family-style hospitality. 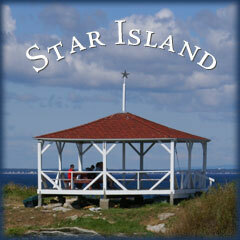 Star Island is small, rocky, shrub covered and charming. For decades, people have visited to paint, write poetry, take photographs, attend a conference at the Hotel, practice yoga or just sit on the porch and read. The “conferences” are gatherings to discuss topics in science, religion, mysticism, art, history or any other topic that organizers can dream up. Some conferences are group or family reunions. Starting a few years ago, the Hotel started offering “personal retreats” allowing individuals or friends to visit for short or longer periods with no planned agenda. For more information, speak with the Innkeeper (603-436-2287) or the wonderful folks at Star Island (603-430-6272).